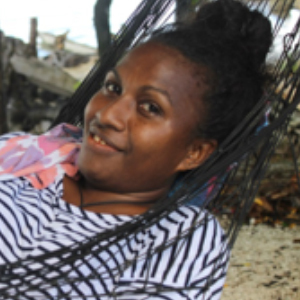 Engaging women and men in community-based resource management processes in Solomon Islands. 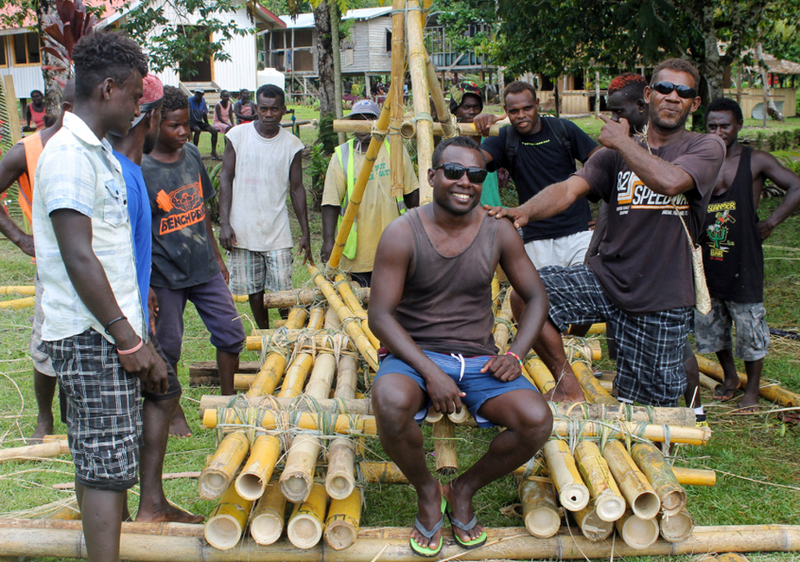 In Solomon Islands, discussions and decisions on managing local fisheries mostly involve men, who are typically the elders and hold the leadership positions in communities. Yet research from across the world shows that broad community involvement and commitment is critical for equitable fisheries management. A key challenge is to arrive at a model of community management of natural resources that integrates the voices of all community members, including youth, while also respecting traditional social hierarchy. 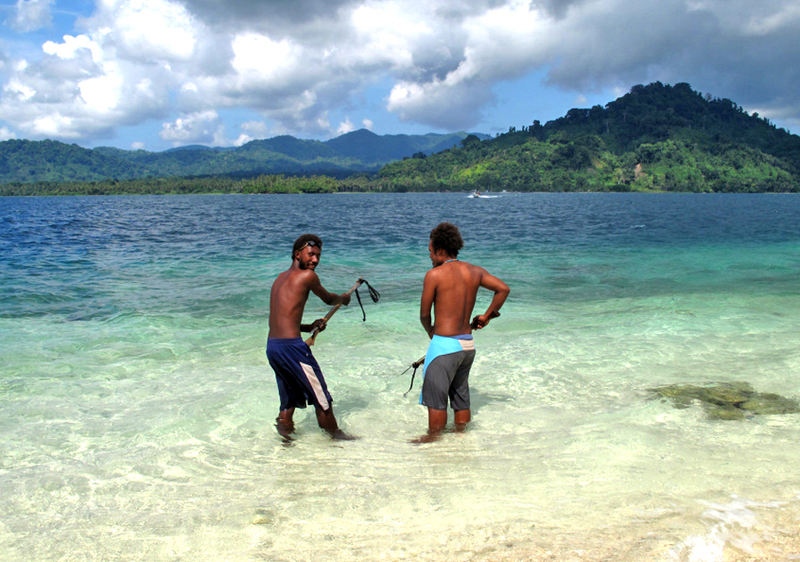 Youth preparing to go spear fishing in Jorio, Western Province, Solomon Islands. Photo by Pip Cohen, 2010. In Solomon Islands, fish and fishing is important as a source of food and income, and is integrated into the way of life of households and communities. Youth participate in fisheries by fishing from shore or from canoes, diving to gather invertebrates and to spear fish, and helping to clean and prepare catch for sale or for consumption – all of which are important contributions to the collective activities of a rural and coastal community. Yet the strong cultural hierarchy in many rural and coastal communities limits the extent that youth can participate in discussions on fisheries governance. Respect for community chiefs, elders, religious leaders and resource owners as the decision makers sometimes restrains the ability that youth have to contribute ideas. This can mean that youth become disenfranchised, resulting in many being uninvolved and even unaware of such deliberations. The trend for youth to move away from rural communities to bigger urban centers adds to the challenge. Encouraging the greater involvement all individuals, including youth, in fisheries management has been a focus of efforts by WorldFish in partnership with the Ministry of Fisheries and Marine Resources to test, refine and promote community-based resource management (CBRM) in Solomon Islands since 2005. The CBRM approach involves local communities managing natural resources in partnership with government bodies and civil society groups through such mechanisms as discussing customary access rights, sharing contemporary scientific and local knowledge about marine environments and fish ecology, promoting sustainable harvesting and practicing enforcement. This approach resonates well in Solomon Islands, where, because of customary marine tenure, communities have always managed their local fisheries with little intervention from government authorities. CBRM training participants in Auki, Malaita, Solomon Islands. Photo by Joseph Ferani, 2016. To ensure CBRM initiatives reach and involve youth, WorldFish has partnered with the regional organization Pacific Community (SPC) to run workshops on CBRM specifically targeted toward youth. Since November 2016, three youth-targeted trainings have been held involving 47 young people. The three-day training empowers youth to increase their knowledge and confidence so as to allow them to get actively involved in, and even lead, marine resource management in their communities. It encourages young people to open up, interact and share ideas on tackling fisheries issues and solutions in their own communities. By giving them the opportunity to recognize their capabilities, youth understand that they can contribute to resource management programs, and affect a range of decisions that impact upon the future of their communities. Look & learn trip to Santupaele, Western Province. Photo by Meshach Sukulu, 2016. The gaining of basic marine biology knowledge and a deeper understanding of the interconnection of the marine environment to us humans, was an evident impact of the trainings. 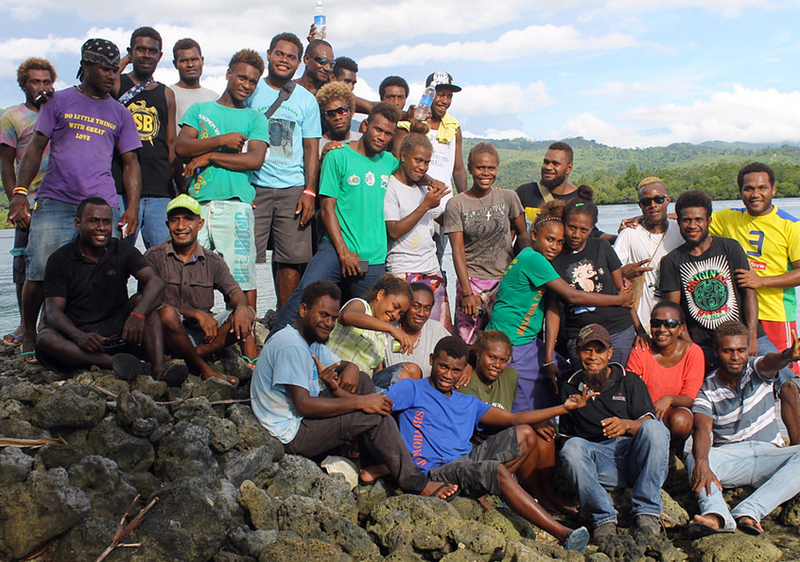 With this new knowledge, youths discussed ways that they would be able to better manage community resources and work together to improve their management when they returned home. To capture these ideas, the youths drew up action plans that outlined activities such as holding awareness talks to carry out on their return to their communities. 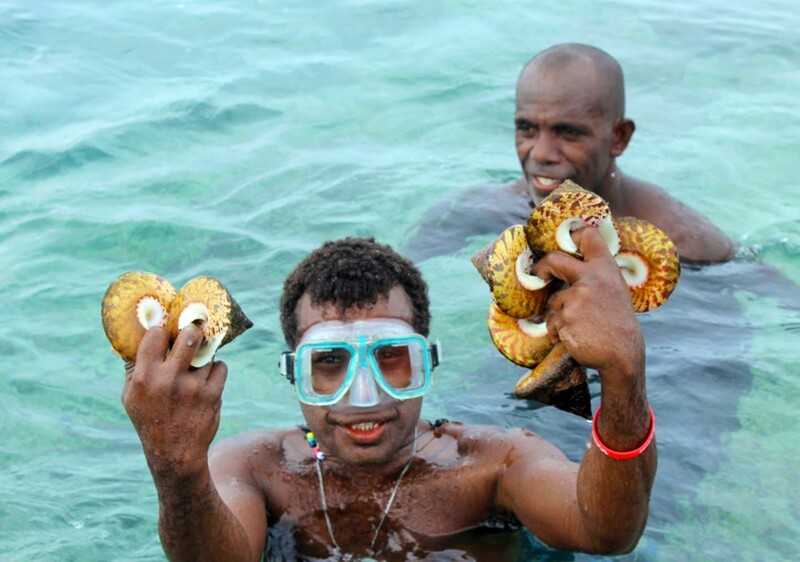 In Solomon Islands, we are all resource users that depend on fisheries for food and income. If we don’t all participate in managing our natural resources and protecting our environment, then we can’t ensure the continued benefits of fisheries for the people who depend on them. Appreciating our youth and recognizing them as agents of change in our communities is therefore critical to achieving sustainable outcomes from CBRM initiatives. Faye Aborina Siota has been working for WorldFish as a Research Analyst since 2012. She has been involved in research on community-based resource management (CBRM), nearshore fish aggregating devices (FADs) and most recently, on food and nutrition in rural communities. She believes in community empowerment and the strength based approach.